Tea ceremonies, cherry blossoms and Mount Fuji, the highest mountain in Japan will entice even the most seasoned traveler! Let your soul calm and rejuvenate in a Japanese garden and then head off for some world class destinations! 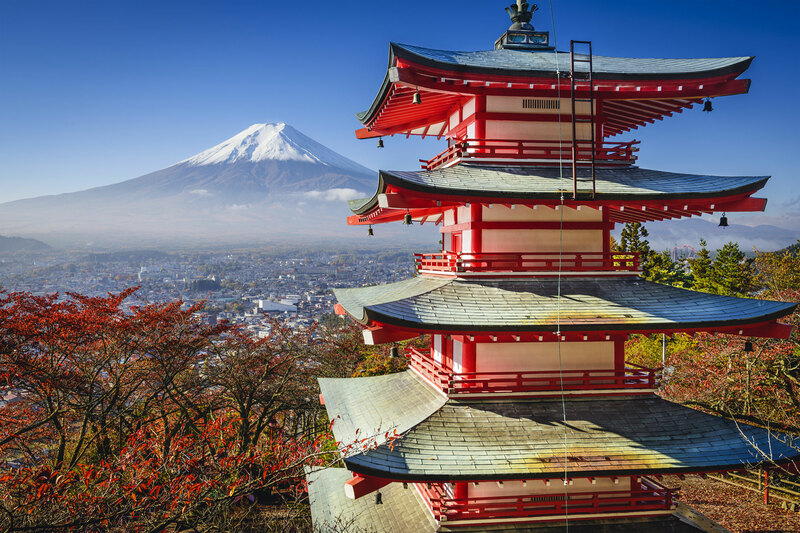 A Cville Travel, we will create a personalized luxury trip for you to Japan, designed to allow you time for relaxation, partying, site seeing, fine dining and anything else you can envisage. Start in Tokyo where shrines and stone lanterns are scattered amongst skyscrapers, hole-in-the-wall noodle shops and cutting-edge shopping malls. Remove your shoes and visit a Japanese temple, these stunning and sacred venues will leave you breathless. Take up a trip to the top of the Tokyo Tower for stunning cityscapes and then take a Sky Bus tour on the ground. Shoppers will love Tokyo, if you can find it anywhere in the world, it will be here! Techno fans must visit Akihabara electric town, and historians can browse at the antique malls. Relax with a boat ride in the magnificent Inokashira Park and sample some street sushi, the best in the world! Visit the Hiroshima Peace Memorial and the ancient Sensō-ji, a Buddhist temple located in Asakusa. Travel to Hokkaido, and revel in its untamed and remote wildness where volcanoes, forests and wildlife are in abundance. Extreme sports lovers can try skiing on massive pristine snow slopes on Japan’s northern island of Hokkaido. Itsukushima island, the Shrine Island will enchant those with a love for Eastern culture and Arashiyama, near Kyoto is a destination of scenic beauty. For the extremely adventurous, travel to the north eastern tip of the island where you will find the stunningly remote Shiretoko National Park, home to the brown bear and where you can bathe in a hot water spring know locally as ‘Water of the Gods’. End your day relaxing in a cento with endless tiny cups of Japanese tea at your side. Japan is a blend of the future mixed with ancient traditions, and makes a fascinating luxurious vacation destination. Let us plan a Japan itinerary to suit you! Rome is wonderful mix of ancient and modern. Baking under a hot Mediterranean sun, it will call you back again and again. Prague is a magical city of cathedrals, church domes, majestic spires, towers and graceful bridges. This charming city must be visited. 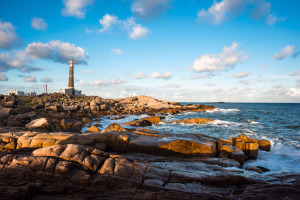 If you are a worldly traveler and have not been to Uruguay, you need to come and talk to us at Cville Travel, a Charlottesville Travel Agency! Awesome service! Thank you for your quick and thorough help with our reservations and purchase! Not only did you do the “find X” you went FAR beyond! LOVE having a quality service provider that I can rely on! We will be back soon! Thanks for helping me plan my trip to St. Augustine this past weekend!!! The hotel was GORGEOUS and a great rate! There was so much fun there- shopping AND nightlife! 😀 I will definitely be using you again for my upcoming trips and referring you to my friends! The pleasure I got during my South American trip was unbelievable. I didn’t have to worry about a thing! Cville Travel took care of everything. Thanks for all the help in planning and booking this upcoming trip. I understand how difficult it is, and with this ease of travel I will be booking more being that we travel quite often. I just love it how we can sit at home and not worry about the small details of the trip while knowing we will be enjoying life with utmost comfort during such a vacation. Thank you so much. 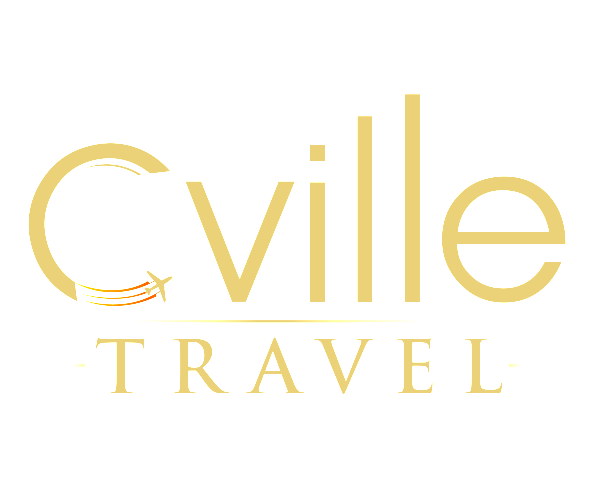 Thanks a million Cville Travel for booking our trip to Punta Cana! We know how hard it can be to fly both people from different countries to be together in one! Can’t wait for our next adventure, you guys are awesome!